while rachel never thought she could love barre classes more than when she first “met” them, that passion has only grown in the past decade. she continues to find herself in new phases of life saying “no, NOW I appreciate the barre the most!” – from prepping for her wedding (and wedding dress! 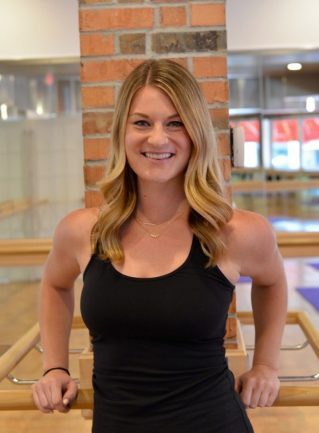 ), to helping her feel strong and toned through her pregnancy (teaching until 35 weeks pregnant and enjoying class until the day she went into labor, rachel is the biggest advocate for how amazing the barre can be for mamas-to-be! ), to helping her return to her strongest self yet post-natal, and finally now getting an amazing few hours of “me” time each week while her busy little girl happily plays in the barre’s monkey barre (child care) – rachel will tell you the barre’s effects definitely go way beyond the physical (which are pretty incredible). the barre becomes a way of life and helps clients feel strong and ready to take on anything life brings their way! jenna graduated from the university of st. thomas with a degree in communication and journalism and minor in graphic design. in college, jenna pursued her passion for graphic design and communication by working for multiple creative organizations, news outlets, and agencies. when not at the barre, you can find jenna designing, spending time with her friends and family, baking, and putting her dog henri in ridiculous outfits. jenna danced for 18 years – from 4 years old to throughout college – and served as the st. thomas dance club president for two years. her love of dance was what first interested jenna in barre. on a break home from school, she discovered the barre studio in wayzata and has been coming back ever since. 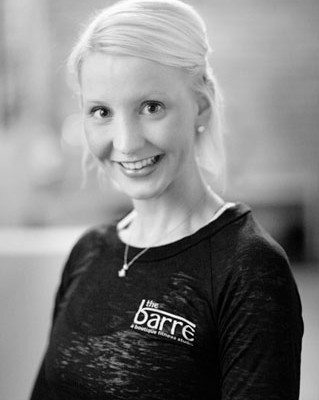 not only does jenna love the benefits of the practice, but she loves the positive, supportive and energetic atmosphere and the fabulous barre team! the barre has not only transformed & strengthened her body but her mind as well. she can’t imagine working out or teaching anywhere else! she her husband, ryan. she stays busy caring, helping and carpooling their 2 beautiful kids. first stepping into the studio. jaclyn graduated from the university of minnesota speech–language pathology program. following graduation she moved to arizona to live with her now husband, matt. 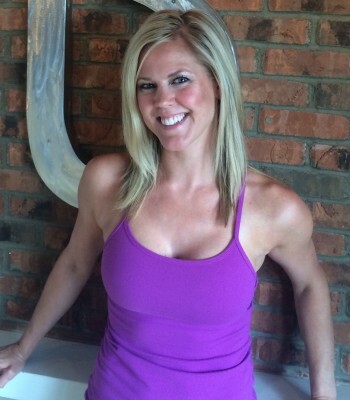 as an exercise addict for most of her life, jaclyn was always interested in trying new methods. 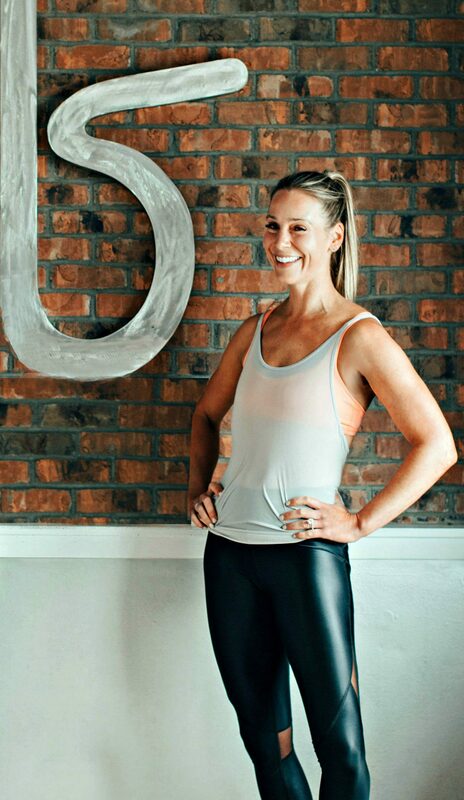 it was in arizona that jaclyn tried a variety of barre studios and fell in love with both the exercise and the results!. upon moving back to minnesota, jaclyn was in search of a high quality barre studio that lived up to her expectations. 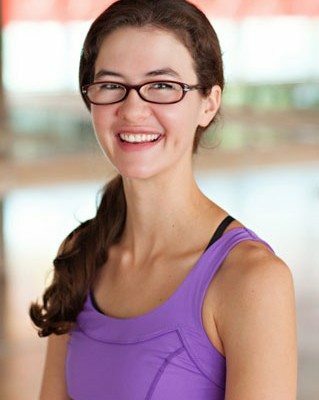 prior to stepping into the barre, jaclyn had trialed several barre classes in minnesota. halfway through flatback at the barre during her first class, she realized she had found the perfect studio! jaclyn resides in plymouth with her husband, matt, and their dog, buddy. jaclyn works in a private pediatric clinic as a speech–language pathologist. she is thrilled to be taking her love for the barre to the next level and to help others achieve their fitness goals! abby grew up in kansas where she attended kansas state university and graduated with a b.s. in apparel and textile marketing & business. after college she headed to san diego, ca with her husband where they enjoyed the beautiful weather and sunshine for four years before finally landing here in minnesota. it was in san diego that abby fell in love with the barre style workouts. after moving to minnesota she went on a search for the perfect studio. when the barre finally opened it’s doors – abby was hooked once again. exercise and staying fit has always been a priority in her life but the barre has helped her reach her strength and fitness goals far faster than any other workout. 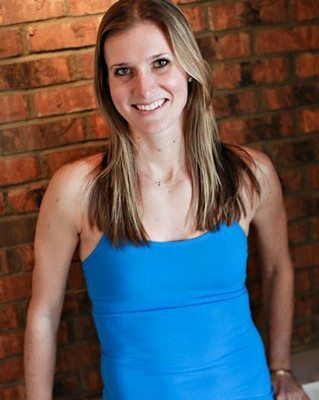 abby is a stay at home mom but is enjoying her new role teaching classes at the barre while helping others reach their fitness goals. she lives in edina with her husband ben, her three kids and her two dogs. she enjoys traveling with her family, entertaining, gardening, running, pilates, decorating and re-decorating her house (ha!) and can now add helping others on their fitness journey to the list. 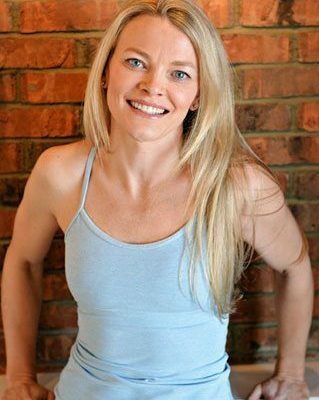 catherine has been teaching yoga to kids, teens and adults for 11 years. she was trained by Ashtanga Yoga Senior Teachers david swenson, manju jois, david williams, tim feldman, kino macGregor and michael gannon. blessed by her supportive husband, mike, and her personal guru and son, caden, yoga has been a huge positive influence on catherine. catherine lives with her family in minnetonka. a proud minnesota native, erica has lived all over the twin cities, but now calls edina, where she lives with her husband and three daughters, home. she graduated from augsburg college with a b.a. in business administration. 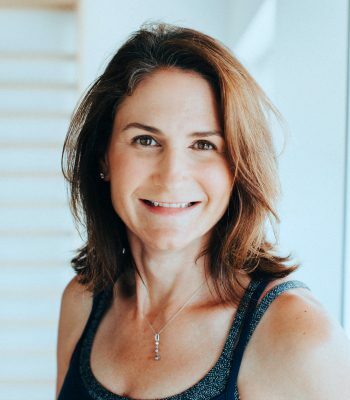 prior to her current gig as a stay-at-home mom, she worked as a consultant writing and producing training videos for a small eLearning company. erica had noticed a post on the blog of her longtime family photographer about the barre and had driven past the edina studio on an almost daily basis, but it wasn’t until her youngest daughter was 4 months old that she finally took her first class. 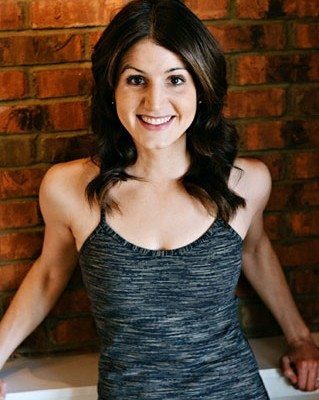 it was love at first “shake” and after years of pushing exercise to the bottom of the list, she made the commitment to attend class on a weekly basis – eventually working up to 3-4 classes a week. she’ll be the first to tell you that the barre completely changed her life and her body. after nearly 2 years of taking classes and professing her deep love for the barre to friends, it seemed logical to take the next step and become an instructor at the studio. she’s so excited to be able to share something she loves with others and to help them on their fitness journey. 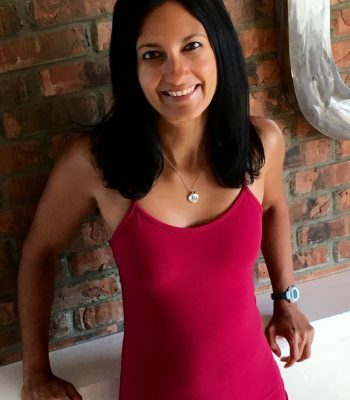 when not teaching class or lining up at the barre, erica enjoys running, tennis, skiing, baking treats, volunteering at her daughter’s school and having impromptu family dance parties in her kitchen. 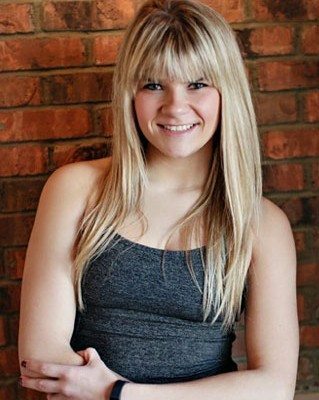 toni grew up in nebraska and went on to attend iowa state where she got her degree in chemical engineering and was a member of the dance team. during this time, she spent her summers as an instructor at dance camps and developed a love for teaching. after college, she moved around before settling in minneapolis where she works in supply chain. the barre edina opened while she was on maternity leave with her 2nd baby – the perfect timing to try something she had been interested in for a long time! after finally finding an exercise routine that she loved enough to wake up early for, she never turned back and decided to pair her love of teaching with her love for the barre! 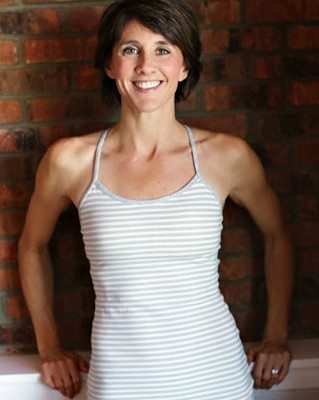 she currently lives in minneapolis with her husband and two daughters and a son who love to “take barre class” at home.